Mothers can pass antibodies to their baby through breast feeding. The immune system creates antibodies to fight foreign invaders. Good antibodies is an essential aspect of building a good immune system. An antibody is a protein found in blood and other bodily fluids, which is created to fight off infective antigens. Antibody generation refers to the process by which antibodies are made, which is a necessary part of creating a good immune system. There are several different ways in which B cells in the body can be stimulated into antibody generation, including through passive, natural, and manipulated or artificial methods. Antibody generation is a necessary process that continues throughout an entire lifespan. The reason that antibodies continue to build and grow over a lifetime is that each antibody can only fight off one specific antigen. The tiny Y-shaped proteins have special receptors on the ends of the “arms,” which plug into a single type of antigen like a key into a lock. Every time a new antigen comes along, antibodies must be produced or activated in order to fight off the resulting virus or infection. In the womb, a growing fetus receives some antibodies through the placenta. These are ready-made antibodies that pass from the immune system of the mother into the developing system of the baby. Though these help reduce the risk of some infections by making the fetus ready to fight them off, they are not comprehensive, as not all types of antibodies can pass through the protective placenta. Mothers are additionally able to pass antibodies to infants through breast feeding, which some doctors recommend as a means to build up a healthy immune system. Some antibody generation occurs naturally in the body. A natural antibody is one that is created by the body without any prior contact to an antigen. Some natural antibodies are produced in response to substances, like sugars, created through the digestive process. These antibodies have proven problematic for medical science, as they are believed to be a culprit in some types of transplant rejection. Artificial antibody generation refers to the intentional creation of antibodies through processes like vaccination. A vaccine is a “dead” version of an antigen, which is injected into the body. While the antigens in a vaccine are incapable of causing an infection, they still stimulate the correct B cells into antibody generation, so that the body has a supply of antibodies should contact with a live virus occur. Some vaccines are required only once in a lifetime, while others, such as the flu shot, must be given every year. Antibody generation is an area of constant study in medicine. With the improvement of technology, many hope to push human understanding of antibodies beyond simple vaccination and into areas such as the artificial manufacture of antibodies for use against auto-immune diseases and viruses. A great deal of research and huge amounts of funding go toward expanding the study of these important proteins every year. 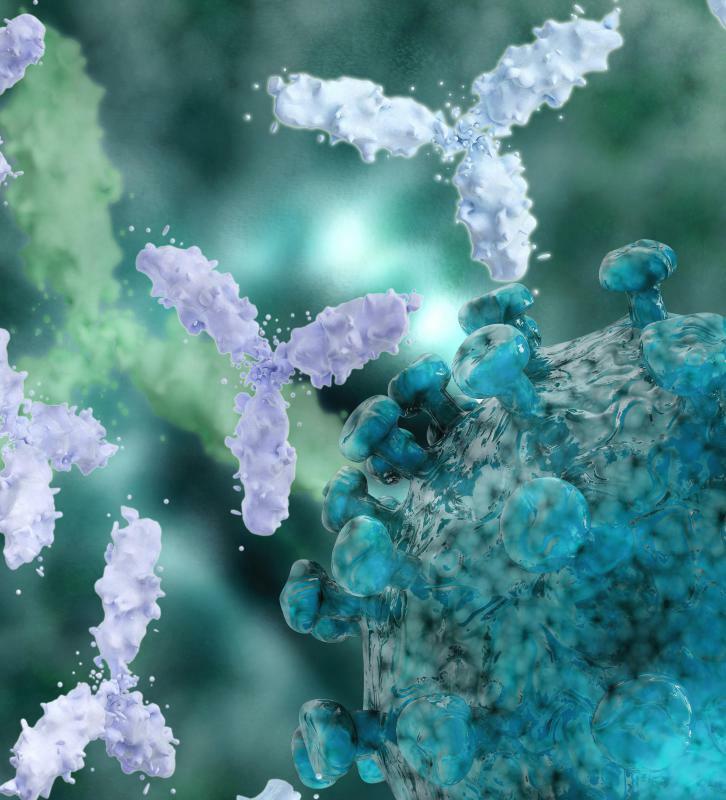 What is an Antibody Assay?